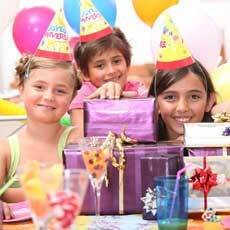 We Love to party, and we do it three ways - First, helping you celebrate birthdays for children ages 1-16. Activity based theme parties in your home or rented location, sure to make memories! Second, we provide these events to businesses and organizations who want to utilize their space and offer great parties to their members - businesses like community centers, park districts, country clubs, fairs, and fundraisers. Finally, we provide traditional party planning services, from full event planning to "day of" coordination for milestone events like Baptisms, Confirmation, Communion, and Bar and Bat Mitzvahs.